I have another card for you. I am submitting this Elephant Pocket Card (Yes, another one) into the Scrappy Mom's First Ever Terrific Tuesday Challenge. Yayyy! This card just looks like fun. What do you think? Comments are welcome. Enjoy and GOD Bless! This is so cute! I love the pocket idea! Thanks for joining us for the first challenge! So cute, love your card and card holder. This is really cute! great job! tfs! Very cite card! Love the balloons. Adorable- I LOVE the colors you chose! Thanks for coming over to my blog and the very nice comment! You are showing out with the pocket cards! I LOVE THIS CARD!! OOOH! I love this!!! It is so stinkin cute! You always do such beautiful work! So so so so cute. 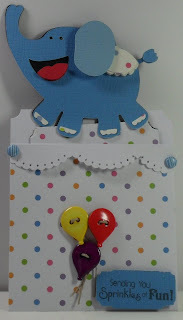 I just saw your lion card too (I think I am rembering a lion with similiar colors..same type of card) love them both. What cartridge are these from? Wow..amazing! Absolutely love it! 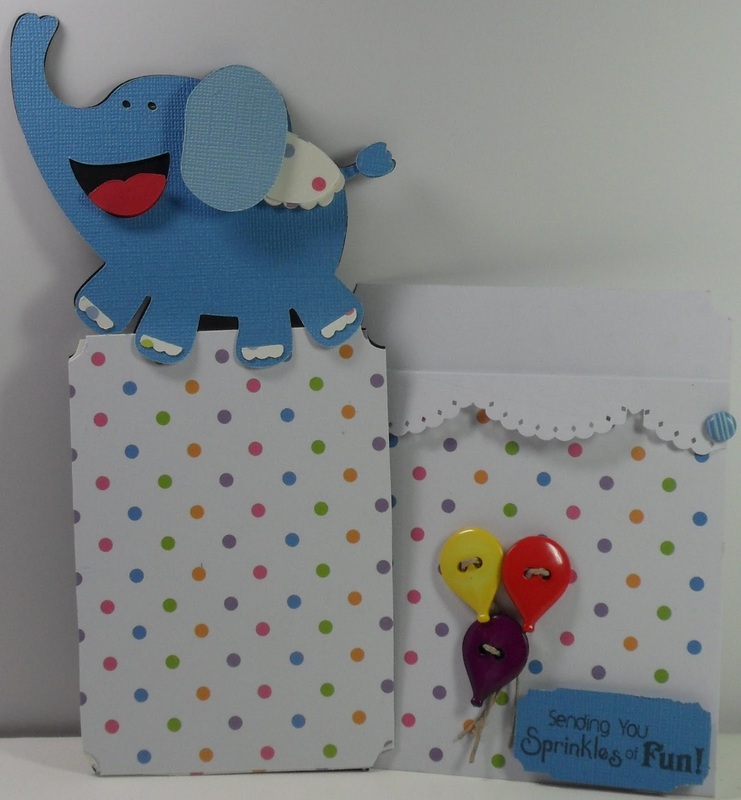 That elephant is sooo cute and the pocket idea is just awesome! TFS!! Wow, your pocket cards are just adorable, time to scraplift!! This is so cute, love the balloons!! Great card! Love the design and fab paper! so cute and creative! thank you for play with us! This is very cute! Love the papers, colors, everything! Thanks for playing with Scrappy Moms Stamps! That is absolutely adorable!! Thank you so much for joining us! !